Final Cut Pro X – Is It Right For You? Here’s the best overview and tutorial I’ve seen yet on Final Cut Pro X.
It’s over at Ken Stone’s blog and covers everything you need to know about this amazing update. The big question is… do you need to get it right now? If you’re editing projects regularly with the old Final Cut Pro you can’t import them into the new version. And you can’t export projects from FCP X to the previous version. That means you’ll need to make a fresh start for projects that you’re sure can be completed in FCP X. You also can’t do ’round trips’ between any of the apps bundled in the old version of Final Cut. If that’s part of your workflow this is not the time to make the switch. But, if you’re just getting into DSLR video you’re going to love FCP X! Bringing all kinds of footage into the editor is easy and simple. That’s the theme for everything here – easy and simple. This tool will bring the power of high end video editing to millions of people. Just not the professionals who already use the suite of tools in the old Final Cut Pro. Yes, I’ll test it out on projects that make sense for this tool. And, from what I can tell, there are things here that may make it my first choice for future projects. Especially when some of the 3rd party vendors get their plugins ported to the new system. Check out the overview and tutorial. The download a copy and let me know what you think. If you’re shooting video with a DSLR, chances are you’re going to want a small shotgun mic in your kit. With all the choices on the market it’s hard to know which one is right for you. DSLR Video Buyer’s Guide – Updated! 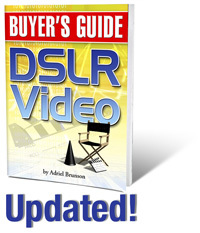 I’m very happy to release an update to the DSLR Video Buyer’s Guide! It’s amazing how much has changed in the last six months in this industry. Canon released the D60 and Panasonic upped the ante with the GH2. You’ll find information about all of this and much more in the updated DSLR Video Buyer’s Guide. I’m so grateful for all the comments on the Buyer’s Guide. The response is encouraging and overwhelmingly positive. I’ve been working on updating the DSLR Video Buyer’s Guide for several weeks and now it’s ready. As promised, I’ve emailed everyone who purchased the original with a link to download the update for free. Just came across this great music video from a new band called First Place. It was shot and edited by a Rosie Collins, a professional freelance photographer and video producer based in Soho. I like the feel of the music and the positive message of the song. The more I found out about the band the more interested I got in the project. I connected with Rosie and got more info on the production. Here’s a video by Gustav Johannson, a Swedish director who uses extremely narrow DOF to create a story that pulls you in. I don’t know what camera or lens was used for this video but, as DSLR video shooters are all crazy for DOF and bokeh, this video should give you lots to love. Watch it more than once. Watch in HD. Watch on the director’s web site in QuickTime. I’m no expert but I am a life long student. 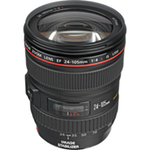 So, in this post I’ll cover the basics and give you links to great tools for choosing the right lens. And, even though we’ll start with the basics, things can get interesting pretty quickly. Most of us dream of a better life. And most of us do not do all the things we know would lead to that better life. 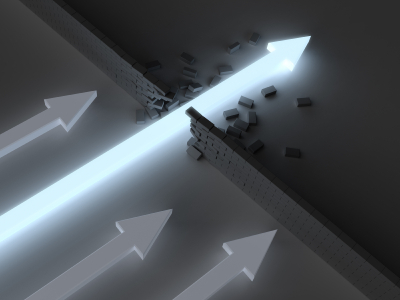 Even when we’re doing well, there are often goals that can seem unreachable. That’s why I’m excited to offer you this gift. Becoming Unstoppable is chapter zero of “Need to Know”, a great book by Paul Myers about creating an online business. But this chapter is not just about online business, it’s about finding out what’s stopping you from having whatever your goals are for success in life. And it’s about changing that so you become unstoppable. I’ve followed Paul for quite a while and always find his writing right to the point and full of useful information. Plus, he’s knows how to entertain while teaching valuable perspectives and skills. You can download Becoming Unstoppable as a gift from Paul through me to you. No strings attached, just a desire to help you gain the life you want to live. While reading it will no doubt help you become more unstoppable, the real value is in following Paul’s process. I spent a few minutes yesterday using Paul’s process on my most significant goal for 2011. I found several significant points regarding my goal that I hadn’t seen before. It was clear that those points would sabotage my efforts. I kept moving through Paul’s process and felt something move. I became more unstoppable. But what’s really interesting is how the process kept working in the back of my mind. Today I suddenly realized another area where I was stopping myself from reaching my full potential. And that realization brought with it another key to reaching my goals. Cool! Download Becoming Unstoppable. In less than one hour you can read it and work through the process. I’m betting it will prove to be one of the best investments in your future that you’ll make. Thank you for your support this year, it’s been great. All the best to you and yours in the new year! NOTE: the links in Becoming Unstoppable are affiliate links and I will benefit from any purchases you make resulting from clicking on those links.